In the meantime, if you just can’t wait, the kindle and iBook versions are available now. 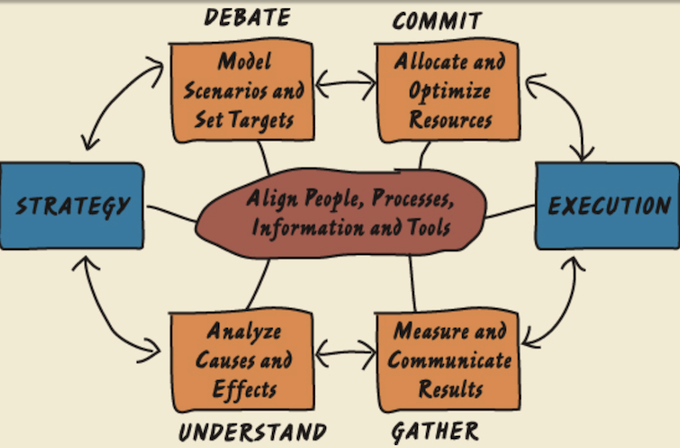 Each part of this closed-loop process should feed off of the other parts of the process. For example, performance targets (vetted and agreed on in scenarios and what-if models) should feed the planning process, and actual results should be compared to the commitments made (by business unit, by product line, by sales team) in that same planning process. Welcome to my new blog home. It has been a while, hasn’t it? 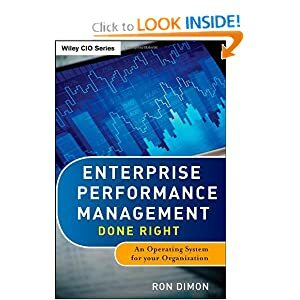 I’ve spent the last two years working on my Enterprise Performance Management book which was just published by John Wiley & Son. EPM Done Right tells you step-by-step how to make your ERP finally live up to its promise. Find the profit in your revenue growth by turning data into action. It’s a way to think about performance more holistically and as a business-process that helps you sustainably execute your strategy.